This workshop is an accessible yet deep exploration of permaculture design process as a living unfolding reality. 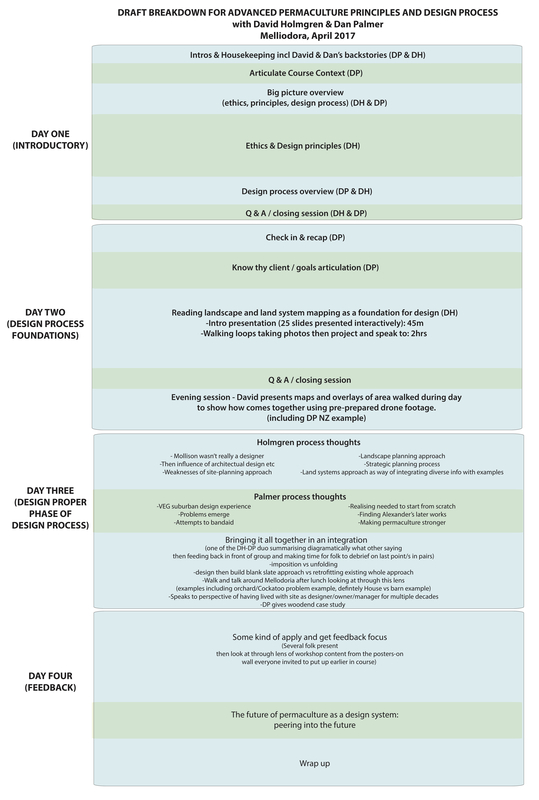 In the third iteration of a unique collaboration, David Holmgren and Dan Palmer further explore, deepen and share their understandings of sound permaculture design process. Not only has much of the content of this workshop emerged in recent years, it will continue to develop during the workshop itself. 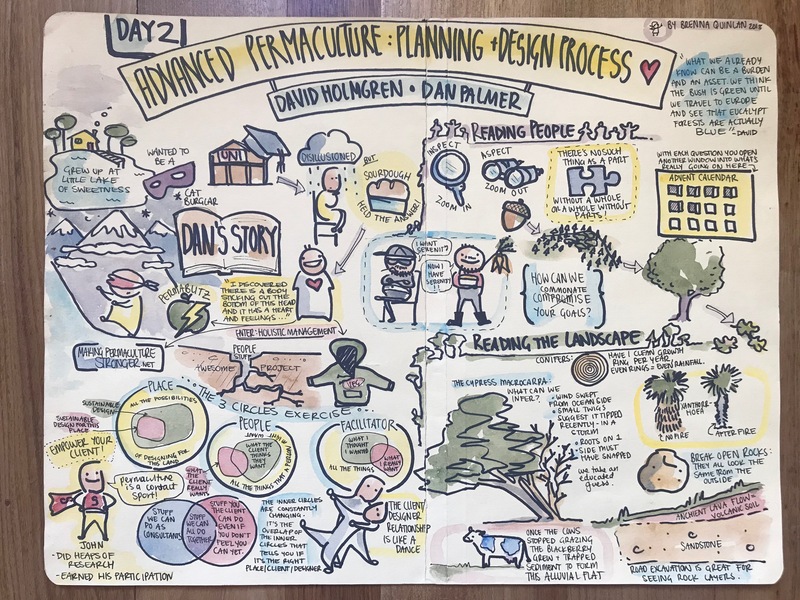 This means that attendees are participants in a live conversation, where David and Dan hope to meet people where they are and support their journey forward with permaculture design. You can read a detailed report Dan wrote about the first (2017) iteration of this workshop here. 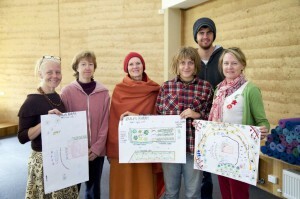 “I highly recommend this course for anyone seeking a deep understanding of permaculture design. 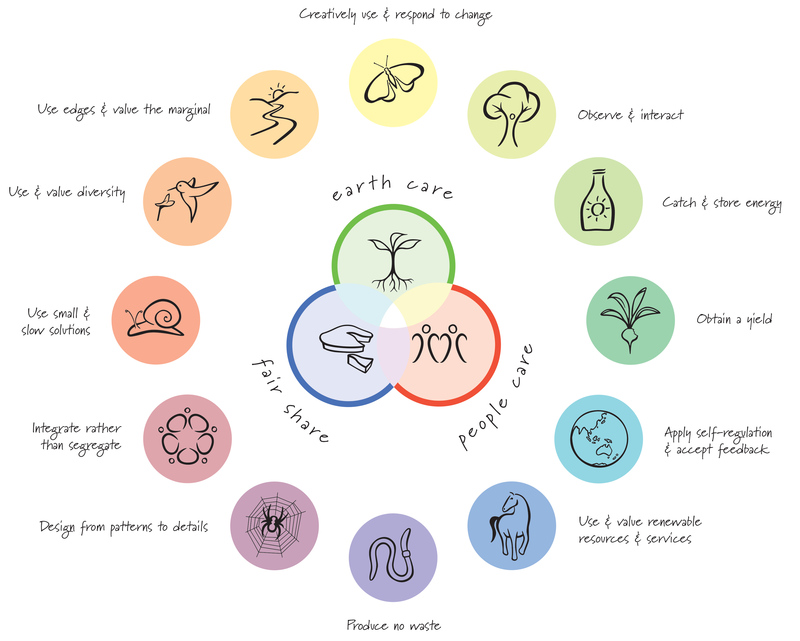 This course is perfect for designers, educators, practitioners and theorists wanting to understand the role permaculture will play in transforming our world” (Past Participant). 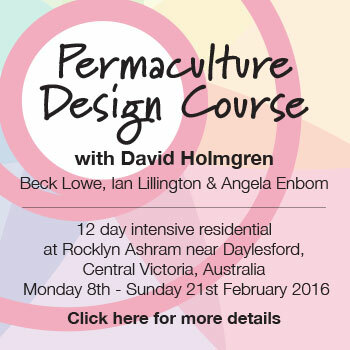 As co-originator of permaculture, David Holmgren has been working with permaculture design process for forty years. 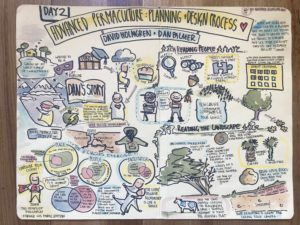 In this workshop David shares his long history learning, practicing, and teaching permaculture design along with how his understandings are continuing to evolve today. 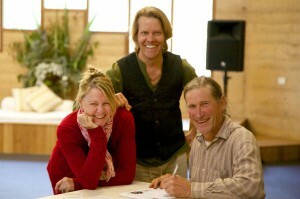 Much of what David shares in this workshop you will not find anywhere else. “I’d like to express gratitude for the high quality of content, facilitation and overall authenticity of the course. 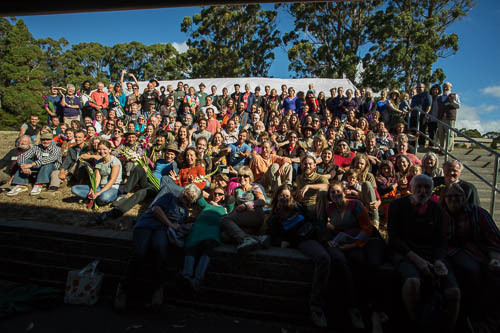 Everyone involved was a pleasure to connect with and it has restored my hope in collectively making permaculture stronger and bumping up the resolution of my own way forward” (Past participant Ben Mallinson). 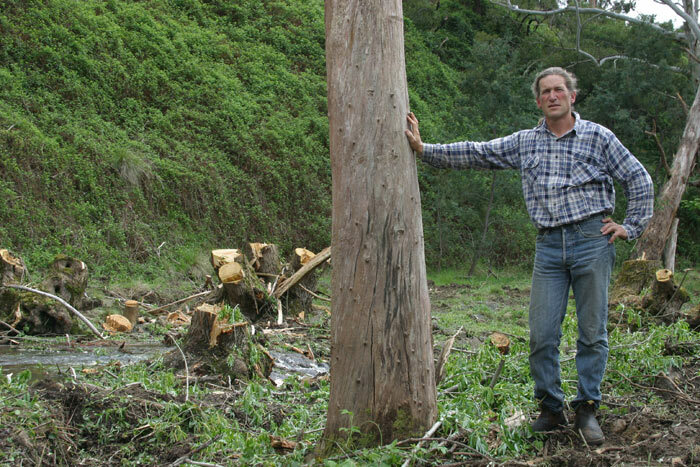 Dan Palmer helped found Permablitz, Very Edible Gardens, Making Permaculture Stronger, Holistic Decision Making, and Living Design Process. 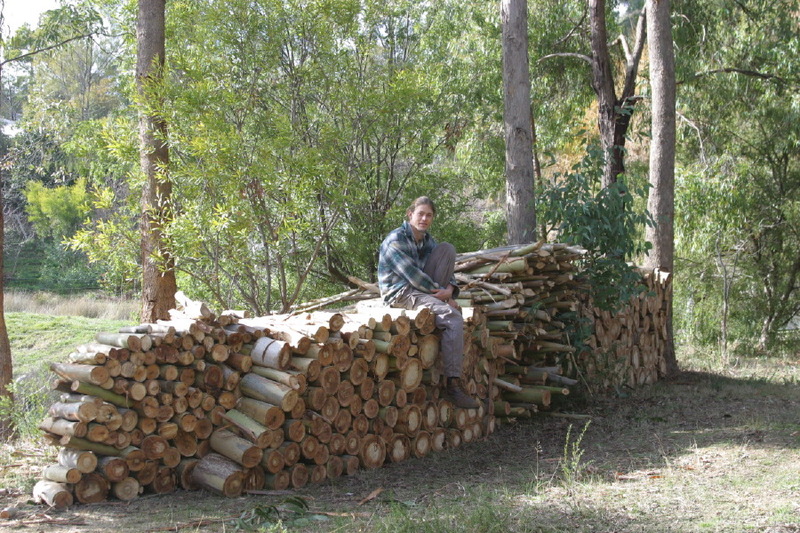 Actively and continuously involved in permaculture design projects for the last twelve years, Dan is deeply passionate about the evolution of design processes that support the full expression of permaculture’s potential. 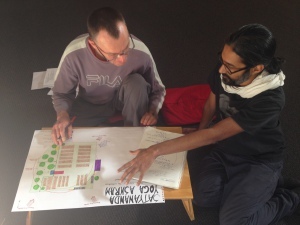 “As more of your teachings sink in I gain greater appreciation for your visionary insight into the design process” (Advanced Permaculture Course veteran Delvin Solkinson). 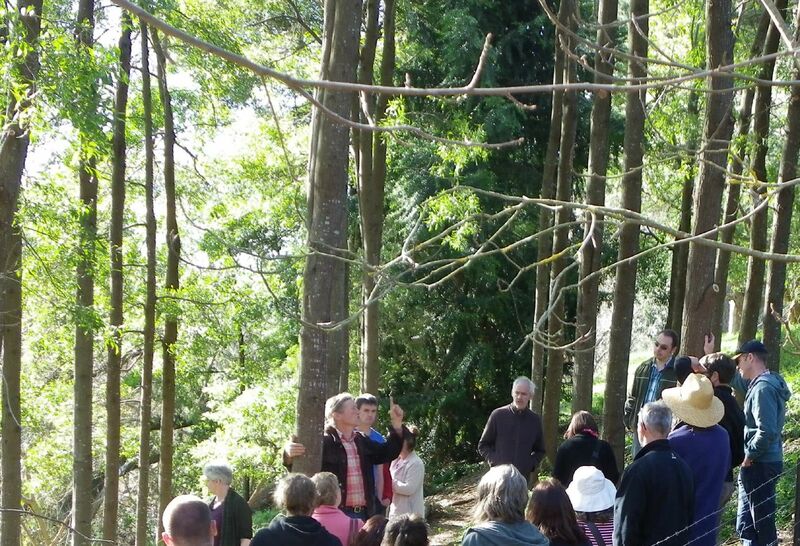 Lecture-based and interactive classroom sessions will be complemented with time outside reading landscape walk and in-depth design-process-based tours of Melliodora and the Mayberry Woodend project. Participants will have the opportunity to share their own design projects with the group for discussion and feedback. 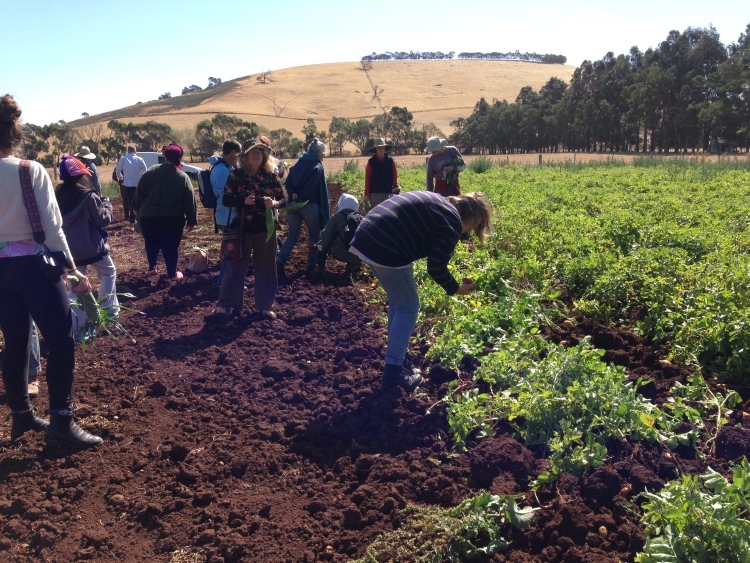 “The process was powerful and inspiring beyond expectation” (Past participant). Here is the timetable from 2018 (Though details will change the overall pattern will likely remain similar). 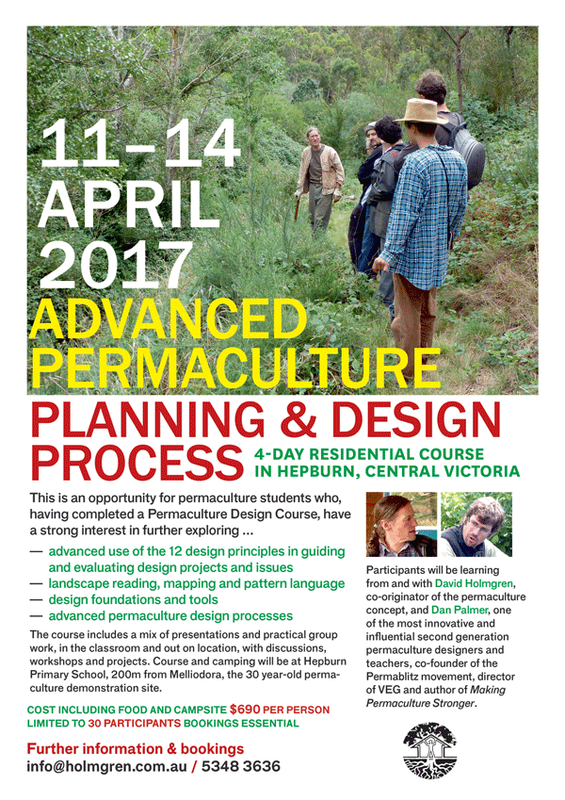 “If you’re serious about applying permaculture on projects or more broadly, you shouldn’t hesitate to do this course. It was a game-changer for me” (Past participant). 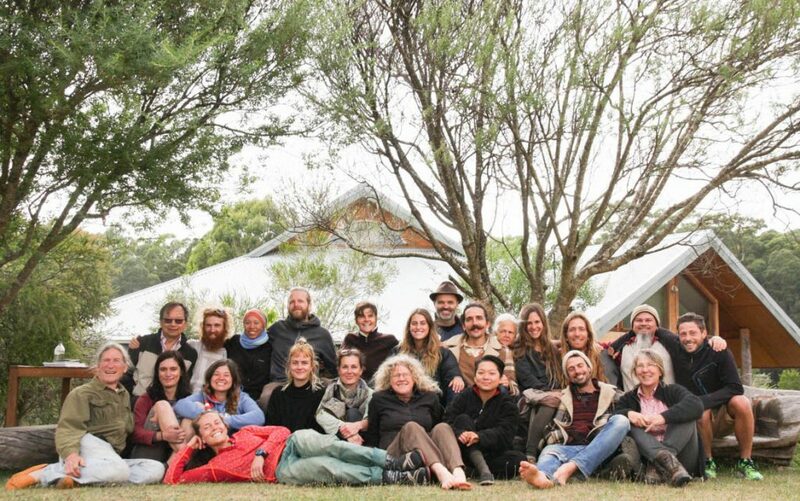 The course will be held at Linga Longa, which is close to Melliodora, the premier permaculture demonstration site of David Holmgren and Su Dennett. Melliodora is not central to the course content but is accessible to the students over the four days for additional learning and inspiration. The course fee includes all food. Numbers are limited to 30. Bookings essential. 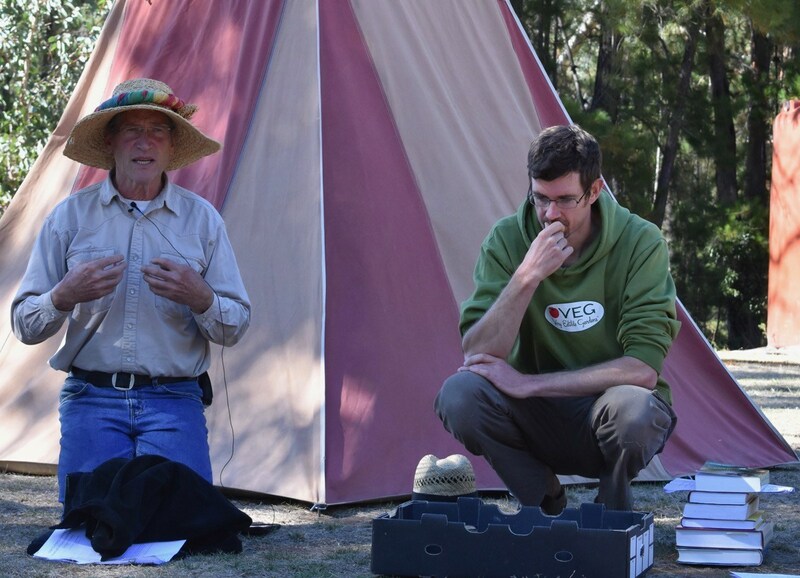 The complementary knowledge and skill sets of permaculture co-originator David Holmgren and Regrarians whole farm planner Darren Doherty come together for four days of presentations, discussions, site tours and practical activities in April 2015. 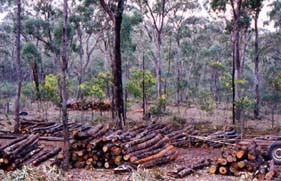 For owners of small areas of forest, this course will show the low cost ways to reduce fire hazard, improve amenity, obtain a yield and improve future timber and environmental values. For farmers wanting to better integrate and manage timber trees within their farm landscape , this course will provide an overview of tree growing systems, species, management techniques and value added processing options that will diversify and strength the farm economy. 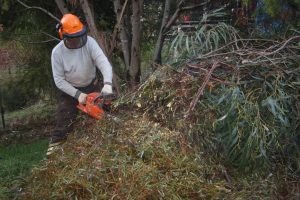 For environmental activists wanting to deepen their knowledge of sustainable forestry, bioenergy, catchment management and novel ecosystems to create a better world, this course offers an opportunity to learn from greenies with chainsaws. 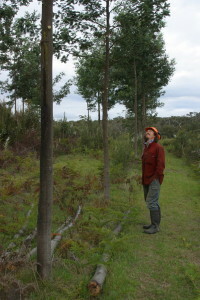 For those already with training or experience in farm forestry, this is an opportunity to glean and share new ideas with two sustainable land use innovators from outside the bounds of the forestry profession who have made a significant contribution over decades to the resurgence of interest in farm forestry. Using the concepts of permaculture, keyline, riparian rehydration, holistic management and ProSilva the course will provide a deep foundation for practical forestry in both natural and planted timber forests that provide environmental services and secondary yields of fuel, fodder, nectar and food. 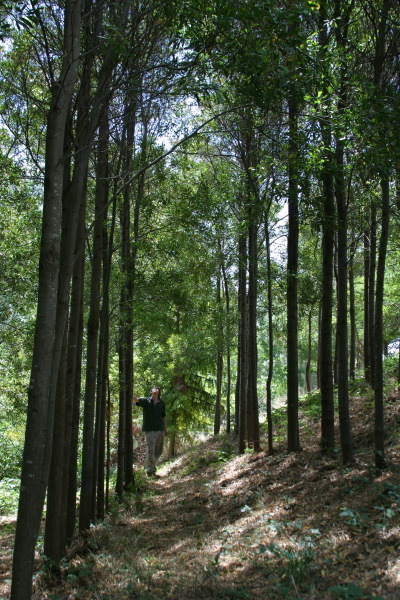 Holmgren’s home property of Melliodora and the adjacent Spring Creek Community Forest combined with a side trip to Holmgren’s box forest property adjacent the Fryers Forest ecovillage near Castlemaine will provide a range of examples relevant to urban, riparian and farm forestry in mid and high rainfall temperate Australia. 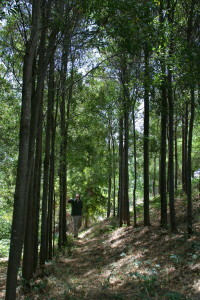 The course venue at Hepburn Springs primary school adjacent Melliodora and Spring Creek Community, provides camp accommodation. 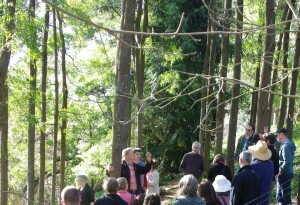 The final night’s camping will be at “the Wild” adjacent Fryers Forest ecovillage near Fryerstown. The course is fully catered with local, in season, organic and wild food at Melliodora and “the Wild”. 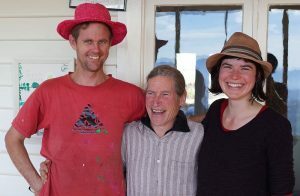 David Holmgren’s partner Su Dennett, renowned local food advocate, will be catering and their son Oliver will be assisting with course logistics and forestry activities. David or Darren will lead sessions but both will be present to contribute through the whole course. If you are engaged in, or enthusiastic about, growing and managing trees and forests for timber and multiple values this course is for you. Just a friendly reminder, that the early bird deal will soon come to an end for the Holmgren designed PDC at the Rockly Ashram. If you are thinking about making a “life-changing, horizon expanding” experience, as described by a participant last year, make sure you save $200 by paying full fee by Dec 12 by registering here. 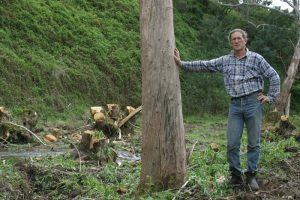 This PDC course is designed along the twelve principles Holmgren devised and detailed in Permaculture: principles and pathways beyond sustainability. 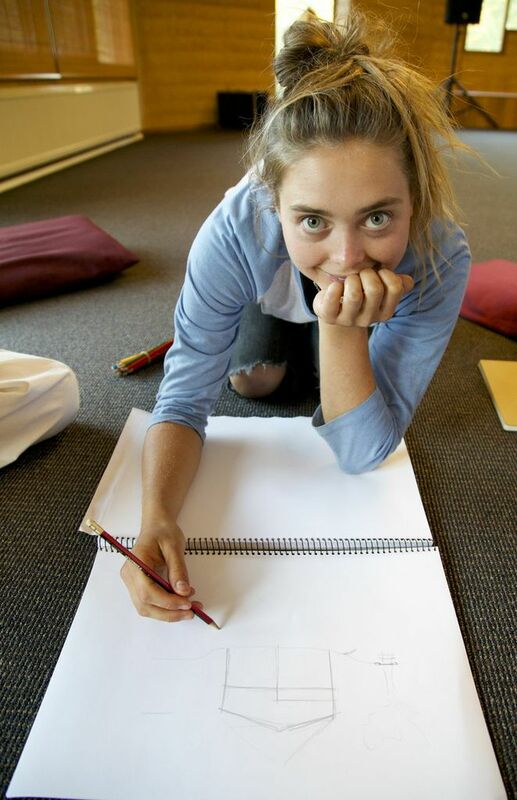 It is a fully catered (by none other than Su Dennett and the Ashram cooks) residential course, with all access to the Yoga program at the Ashram. 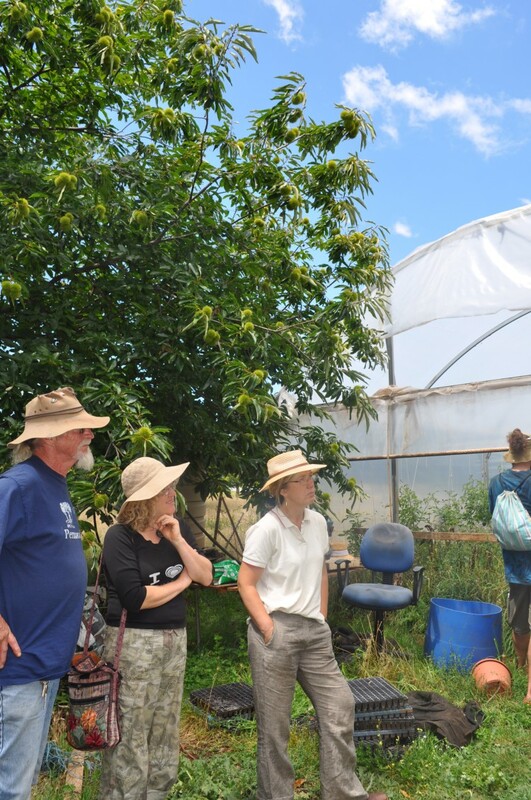 Teachers include some of the best permaculture tutors including permaculture co-founder David Holmgren himself, Ian Lillington, Beck Lowe, Angela Enbom, Patrick Arnts and Simon Reid. 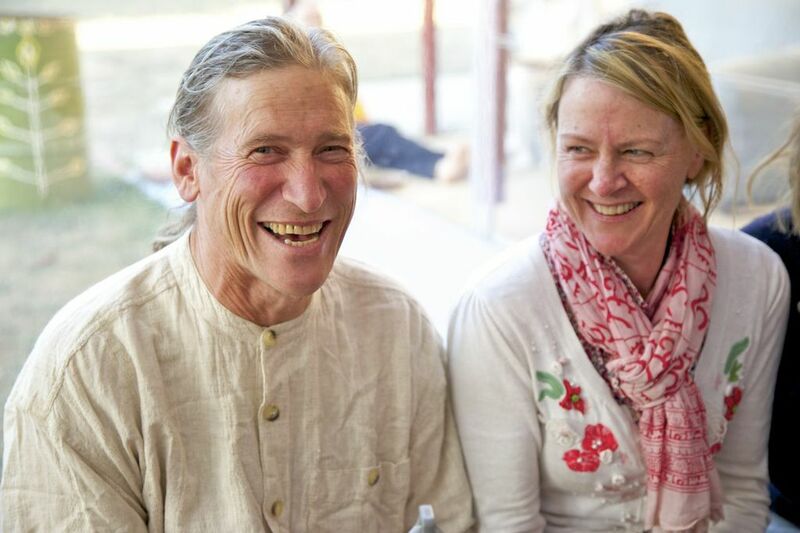 The caring nature of all the presenters shone through and having the opportunity to eat with and socialize with presenters and the Ashram people has been just amazing. Be the one to experience this (and save a couple of hundred bucks). ‘A perfect blend of aesthetics and spiritual beauty combined with intellectual endeavours’. Earlier this year, working with Tread Lightly Permaculture, we held our first PDC course at the Satyananda Ashram in Rocklyn. 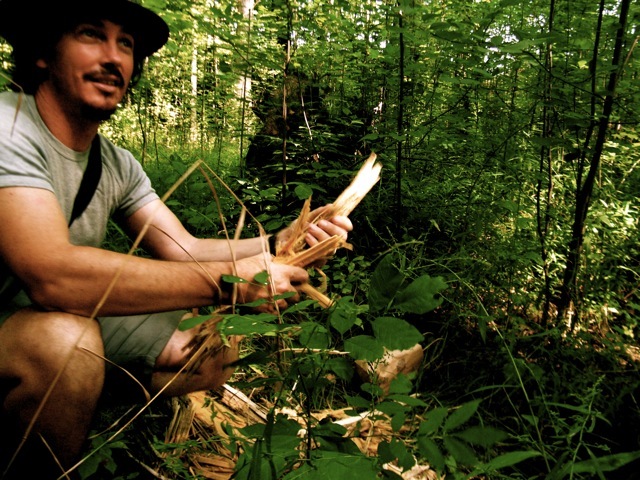 It was a bold experiment mixing yoga and permaculture. We wondered, will it work? ‘Absolutely best site you could have come up with’. 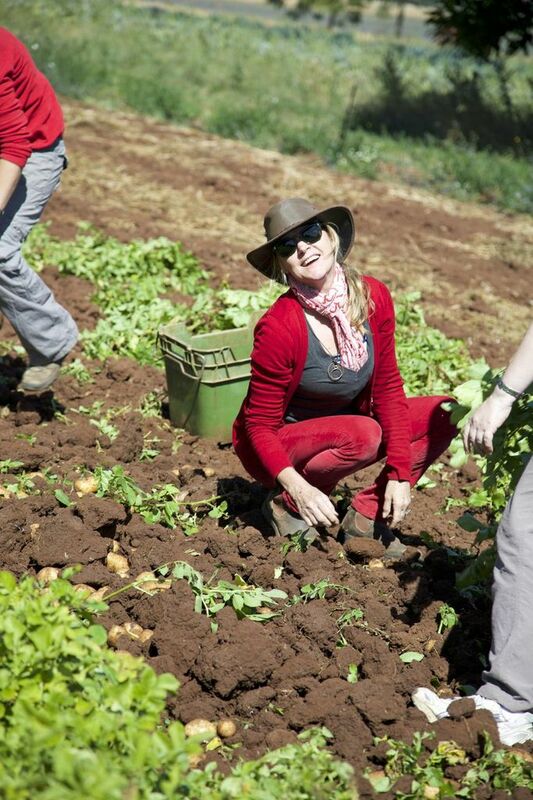 ‘Absolutely loved the blend of permaculture and yoga. The lifestyles’ fit together beautifully’. ‘Work rest balance was beautifully calibrated’. 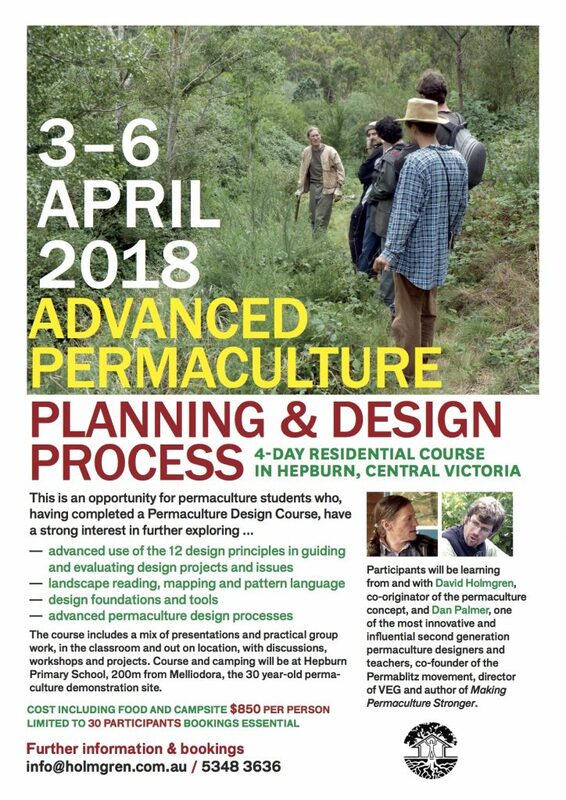 Yes folks, due to popular demand and the overwhelming positive response of the participants, in February next year, we are going to do it again, mixing a Permaculture Design Certificate course with Yoga. 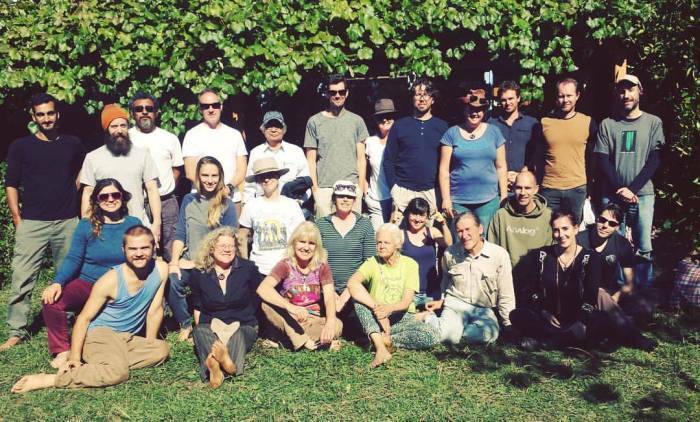 Again, we are assembling some of the best permaculture tutors including permaculture co-founder David Holmgren, Ian Lillington, Beck Lowe, Angela Enbom, Patrick Arnts and Simon Reid. 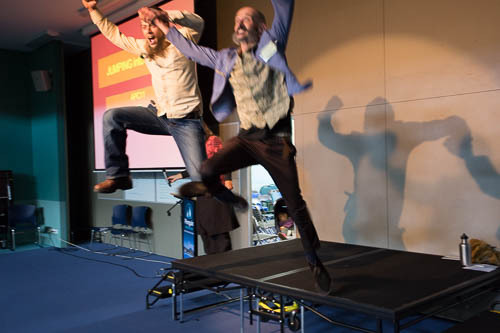 ‘Teachers were very well organized, confident, enthusiastic and knowledgeable’. ‘All amazing, genuine & generous. – yes I valued the diversity’. 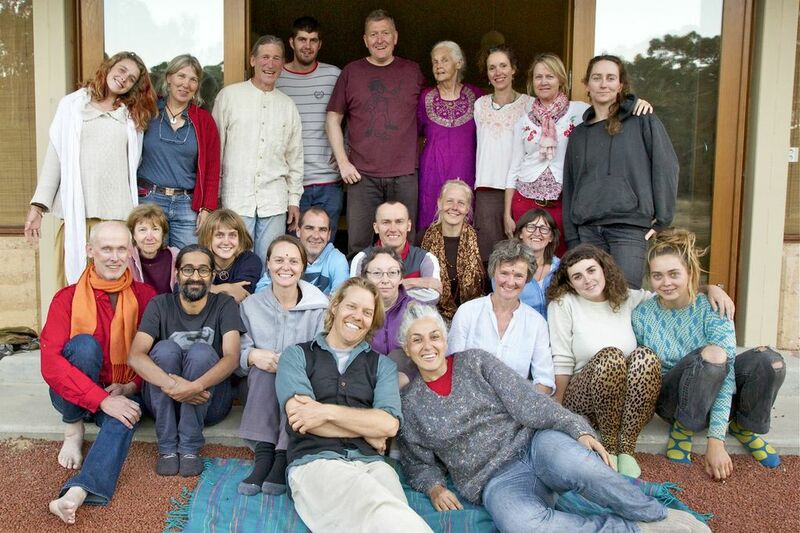 ‘The caring nature of all the presenters shone through and having the opportunity to eat with and socialize with presenters and the Ashram people has been just amazing’. 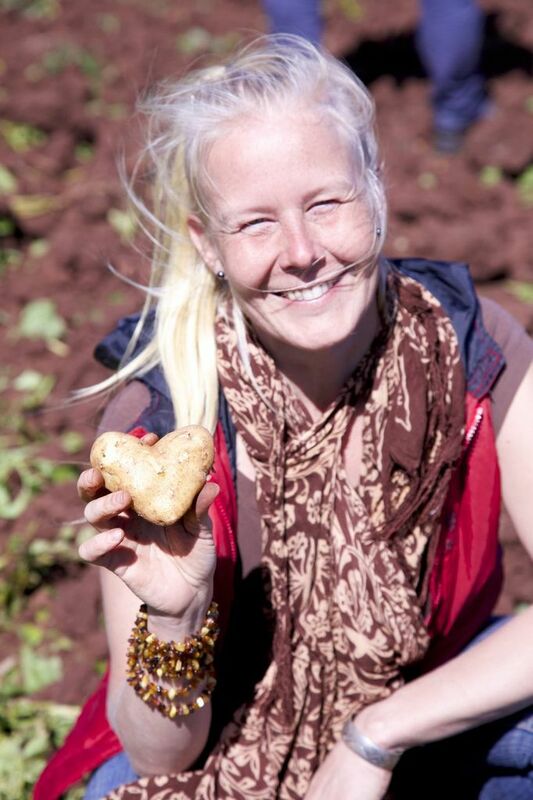 Why don’t you be the one to take part in the “life-changing, horizon expanding” experience? 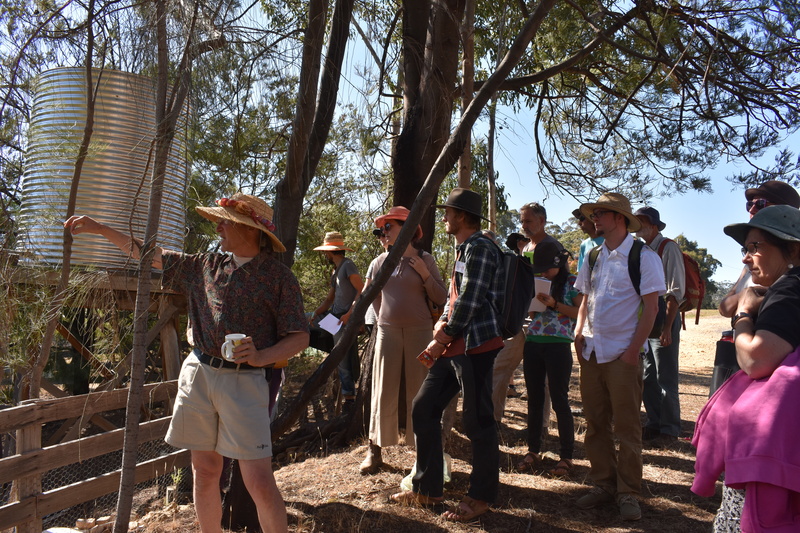 This PDC course is designed along the twelve principles Holmgren devised and detailed in Permaculture: principles and pathways beyond sustainability. It is a fully catered (by none other than Su Dennett and the Ashram cooks) residential course. ‘More than exceeded my expectations’. ‘I came wanting to get direction on how to apply permaculture to my property, but got so much more’. ‘Touched deeply by these 10 days’. Course size is limited to guarantee individual attention. 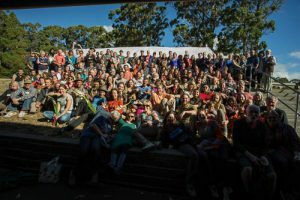 The Rocklyn PDC was an amazing experience, I don’t know what I would like to commend the most, the quality of the presenters, the venue (and the yoga!) or the fantastic coverage of cutting edge perspectives on sustainability, on the state of the world and most importantly what we can do about it. says Robin K, one of the course participants. Indeed, the ten days went very quickly at the Ashram. Days were choc full of PDC learnings, while the participants were served with yummy (mostly) local food, prepared by the kitchen team, lead by our passionate locovour practitioner Su Dennett. And plenty of yoga, of course…. And the field trip to the Rod May’s farm where the king of fermentation, Sandor Katz, dropped by. And a whole day at Melliodora. All in all, the novel mixture worked well, thanks to all the efforts put in by the teachers and organisers, and participants. 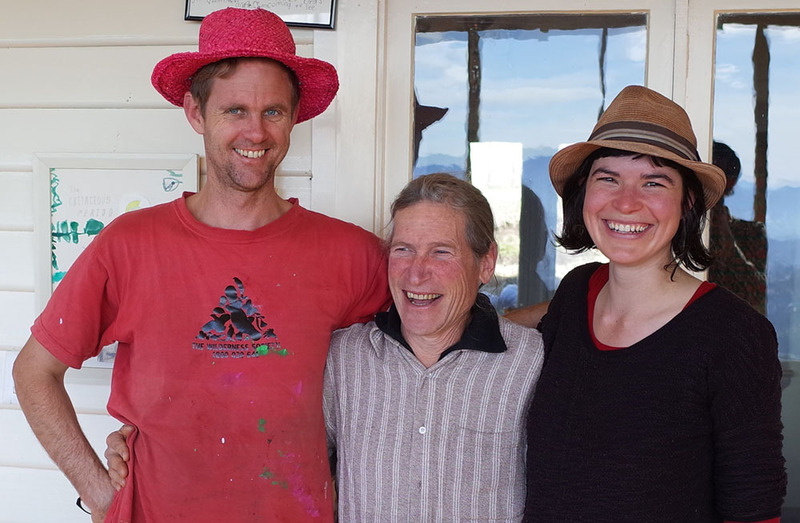 By the look of it, we will have more PDC courses at Ashram, but in the mean time, do not forget to check out all the PDC courses David is involved in, at permaculture and other courses. All photos are supplied by Steve Areen.